The search for a new singer who is Made of Stars kicked off this week in Israel with the first episodes of The Next Star for Eurovision 2017, the singing reality show that will choose Israel’s representative for Eurovision 2017 in Kiev. This season features new judges and some familiar contestants who you’ll recognise from both Eurovision and Israel’s national selections of yesteryear. As last year, the auditions phase works like this: each contestant sings behind a screen and if they achieve a score of at least 70%, the screen rises and they advance to the next round. Each judge votes yay or nay, with a yay awarding the contestant a score of 10%. 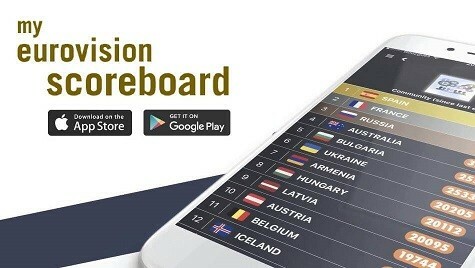 The audience in the TV studio votes in a similar way via a special smartphone application and the scores are then totted up. Diana is not a new face on Israeli TV, as she won Kokhav Nolad (A Star Is Born), one of the most popular shows in the country, in 2010. She’s subsequently released two albums and taken part in a series of musicals while studying acting. The judges were surprised to see her, but she explained that she’s determined to win another competition in order to get to the Eurovision stage. The judges were very impressed by the rawness of her voice, which is very “Mei Feingold” Eurovision 2014. Imri knows Eurovision very well. In 2015 and 2016 he served as a backing singer for the Israeli acts. He really wants to return in 2017, but this time as the lead singer. He studies media at university and works as a singer in a special group called “Caliente”, which performs at private events. The judges couldn’t help but comment on his amazing look — but also praised his voice and charisma. Born to an Israeli mother and an African-American father, Hally charmed the judges with her unique swag even before she started singing. She might not have the best vocals in the show, but her special groove and performance will make you feel so good. Is she the female version of Nadav Guedj? Yes, she’s our golden girl! Talate means “three” in Arabic, which is also the number of members in this group. They sing in the Oriental/Mizrahi style (which is very popular in Israel) and clearly know how to party — most of the judges wanted this party to keep on rocking and voted them through. The oldest contestant ever to take part in a televised singing audition in Israel, this 89-year-old is amazing. You must watch her presentation video. She’s not that young, but she’s hilarious! Judy was born in London and has traveled around the world as a TV and theater star, and she spent the last 22 years in Israel. She sings pretty well, but that voice isn’t going to get her that far in the contest. Even so the judges couldn’t resist her charm and sent her through. A minute before her audition, while talking with the judges, Lee confessed that she suffers from anxiety. But once she started singing it really helped calm her nerves and the judges almost started to cry. Tug on those heart strings, girl! As the name suggests, this group doesn’t use any instruments or playback: They create their music through their voices alone. They’re all former members of “The Voca People” and managed to impress the judges with their polish and cohesiveness. Sapir currently sings in a military band. Her little brother reached the final of a famous kids’ talent show in Israel, where he met the judge of The Next Star for Eurovision 2017, Keren Peles. Sapir got the judges so excited they all voted for her quite quickly, but then she got so emotional she barely managed to keep on singing while wiping away her tears. Awww. Thankfully she held it together and made it through. Eighteen-year-old Osher mainly sings in the Oriental/Mizrahi style. He thrilled the judges with his emotional singing and drew comparisons to a successful Israeli singer named Omer Adam. YOU CAN WATCH THIS WEEK’S EPISODES OF THE NEXT STAR FOR EUROVISION 2017 ON THIS LINK. The auditions will continue in the coming weeks. This year’s edition will be relatively shorter than last year’s, and will end by March. Unlike last year’s competition, the winner will select his or her Eurovision entry after the contest has finished. Really good first week! I was totally amazed by the first one and the last one. Diana is a great singer, the song she sang was amazing! Osher reminded me of entries like 2008, 2010, 2013, with a strong character. The ones you say: oh, this is Israel. You recognize them. I really love when Israel brings its traditional style at ESC. Israel has had the most underrated Eurovision entries ever, 2013 and 2014. Robbed masterpieces. If the old lady is to make it to Eurovision, I suggest she gets a power ballad (something like Quedate Conmigo or Undo) or an upbeat song. It’s either those or everyone will think Israel’s entry is melancholic. The winner have to be honnest and moving and that’s the old lady. She was amazing and made me cry, with a good song, I think she might be in a top one. @esc1234 Yeah it’s taped, but I think only the audition episodes are. why there are subtitles? the show is taped? Diana Golbi sounds like Cher 🙂 She has a good, characteristic voice though. Judy Layne Bernstein is THE BEST! I’m hoping for anything other than a tired Eurovision cliché like Hovi Star, and it seems that the show is indeed oriented towards something more unique this year. In my opinion, after party song Golden Boy from 2015, and after modern ballad Made Of Stars from 2016, Israel should try something like Osher Biton’s song. If the senior lady Judy Layne Bernstein will go to ESC she needs a happy song, like Buranovskiye Babushki had, because a sad or melancholic song will look that she wants sympathy votes and this will not take her far. We need that Oriental/Mizrahi style at Eurovision. Absolutely beautiful! Osher was amazing, that voice blew my mind. Loving Diana’s and Sapir’s voices. Awww, the old lady’s effort is so moving! And OMG, I can’t believe how hot Imri is. Every Monday (Long episode) & Tuesday (Short episode) at 21:00 Local time.